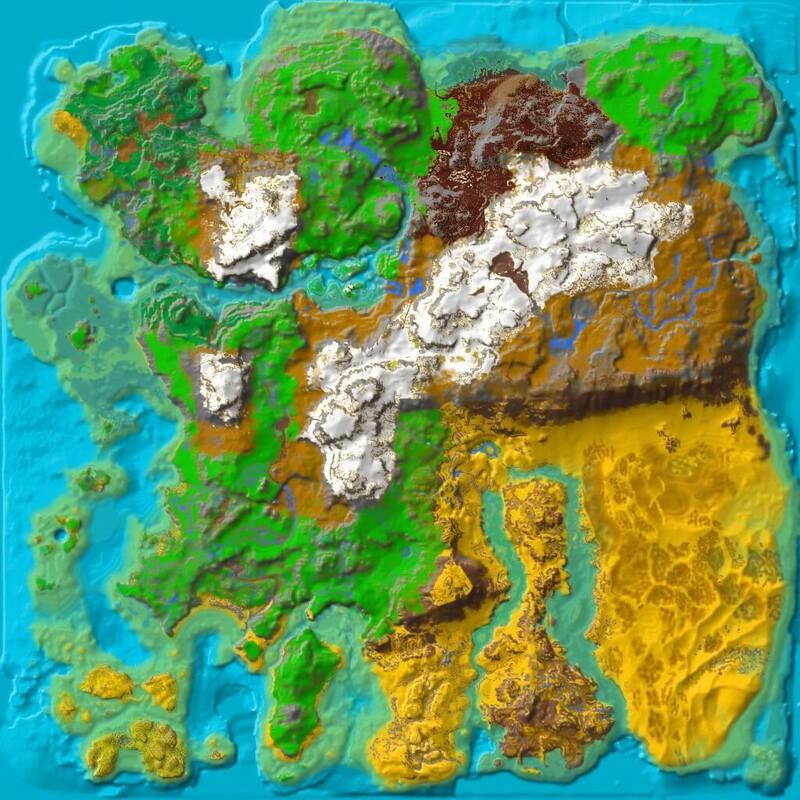 Volcano Beach is a region in Ragnarok. The volcano beach is a piece of land unlike any other. Once every few in game days, the nearby volcano will erupt, turning the land into an ashen wasteland of bones and sulfur. But soon after, the land turns green and life returns, filling the area with many trees, streams and wildlife. Still, be careful of the frequent eruptions and the hostile wildlife. This area should not be built in as the regular eruptions mean that most buildings will be destroyed by lava or the eruption rocks. However, if you avoid building in the areas that the lava flows down from and far from the mouth of the volcano, your structure will likely be safe. Travelers should beware this area and choose their passing time wisely. If coming from the west, do not try to avoid it as doing so will put you higher into the mountain, or down into the near impossible-to-survive-in Murdersnow. But the reward of the plains to the east is great, especially if you need Equus and Wyverns. The wildlife is primarily Invertebrates, and thus is one of the best areas to collect Chitin. This area is the best place to reliably find Megalania, as they rarely spawn elsewhere.